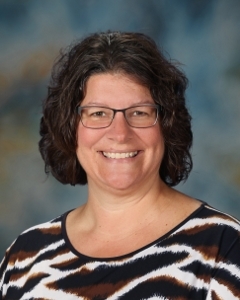 Mrs. Lucht began her teaching career in 1993, after singing professionally and touring the country with The Lesters (a southern gospel music ministry). She taught various classes in K-12 general music, band, and choir from 1993-2002 at two Christian schools in St. Louis and Kansas City. In 2005, Mrs. Lucht joined the SCA faculty. Since that time, she has developed and maintained a top-notch, vibrant choral program that is highly respected in the KC Metro area. Mrs. Lucht directs all the secondary choirs and the biannual Broadway musical at SCA, teaches beginning piano in the Virtuosity! program and is an active member of NAfME, ACDA, and MMEA, currently serving as the coordinator for the Women's Honor Choir in the KC Metro District. Mrs. Lucht and her husband Jeff have been married for 25 years and live in Lee's Summit with their two children, Adam (a 2017 SCA graduate), and Sammi, who currently attends SCA.